“As the first company to focus on reselling rare sneakers, Flight Club revolutionized sneaker retail and paved the way for what is now a two billion dollar resale industry,” said Eddy Lu, co-founder and CEO of GOAT. Along with the merger, GOAT and Flight Club announced a new funding round of USD 60 million led by Index Ventures will allow GOAT to significantly scale our online and retail operations to meet customer demand both domestically and internationally. "As fashion and sportswear have collided, these niche marketplaces are now being transformed by young, mobile-centric customers," explained Frederic Court, managing partner at Felix Capital, which largely invests in digital lifestyle businesses and has stakes in Farfetch, Goop, Business of Fashion and recently invested in Highsnobiety, too. 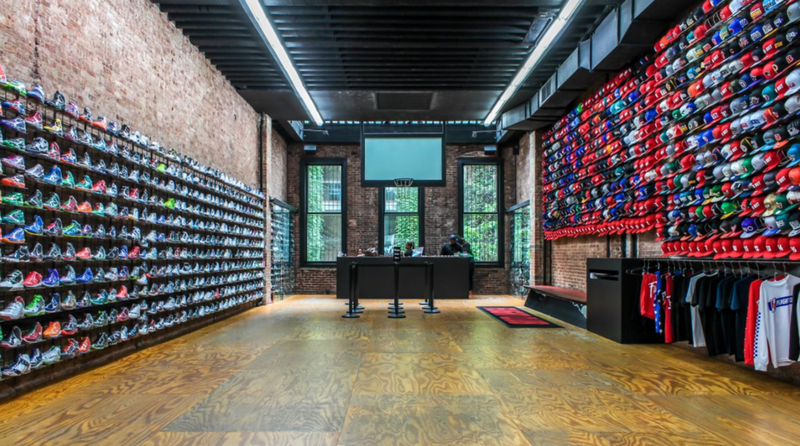 "This is a strong and global trend and there are opportunities for these companies to continue to grow enormously and challenge established retailers such as Footlocker and others, who are less connected to these young customers." However, marketplace businesses generate less margin per transaction than traditional wholesale businesses, leaving them with less money to spend on customer acquisition, meaning that only those with strong word of mouth as likely to thrive. However, with more than 15 million monthly site visits and 7 million members combined, GOAT and Flight Club have quickly evolved from pioneers in the sneaker space to industry leaders and key influencers.